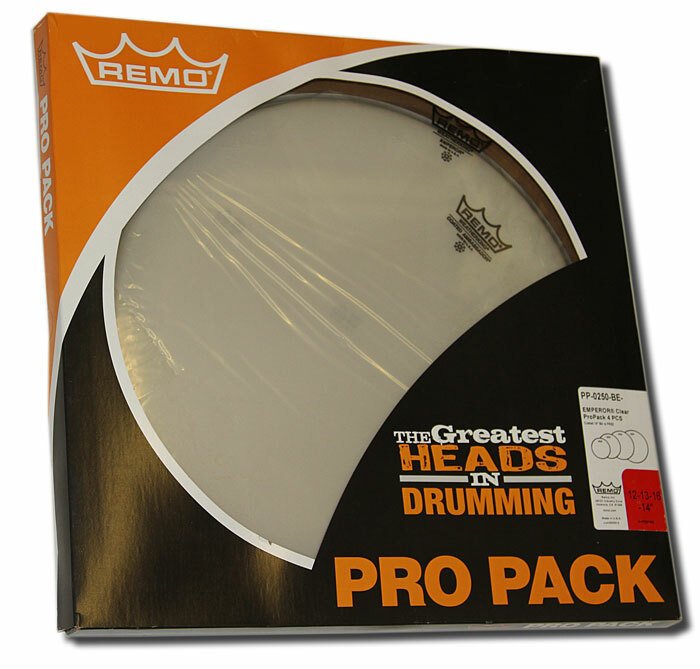 Remo's set of replacement heads for any acoustic drum kit. Clear Emperor heads give consistent open tones which accounts for their popularity among many of todays Pop, R&B and Rock drummers. Features12in, 13in, 16in Clear Emperor heads Two free-floating plys of 7 mil Mylar film (Clear Emperor heads) FREE 14" Coated Ambassador Snare Head.